American Finance Trust, Inc. (AFIN) Losses? 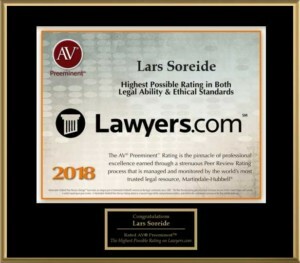 Soreide Law Group is investigating claims on behalf of investors who purchased American Finance Trust, Inc. (Nasdaq: AFIN) – a real estate investment trust (REIT) sponsored by AR Global with a purported emphasis on the management and acquisition of a service-focused tenant portfolio. AFIN debuted on July 20, 2018 at $13.15, rose to a $16.80 high, and closed at $15.00. An estimated 600,000 shares had been traded on its opening day. Approximately fifty percent of American Finance Trust’s common stock is listed on Nasdaq as Class A shares. The company reported that the remainder of its common stock is due to be converted from Class B shares to Class A shares, with all shares listed prior to January 15, 2019. Recommended AFIN REIT By A Broker? Prior to its Nasdaq debut, American Finance Trust was designed as a non-traded REIT, where shares had been sold by brokers to investors at $25.00 apiece. An estimated $1,600,000,000.00 had been accumulated through the company’s offering during its non-REIT phase. American Finance Trust reported in its June 2018 Listing Presentation that its estimated-per-share net asset value (NAV) was $23.56 as of December 31, 2017. The AFIN shares closed on August 1, 2018 at $14.95 – over thirty-six percent less than the estimated NAV. While it has become more common in the last few years for REITs to trade at discounts to net asset value, discounts of this magnitude are shocking – the shares are thirty-six percent less than American Finance Trust’s independent board valued them in June 2018. Despite the dismal performance, AFIN chief executive officer, Michael Weil, seemed to somehow suggest as recently as July 19, 2018 that the listing was geared to deliver shareholders optimal results. 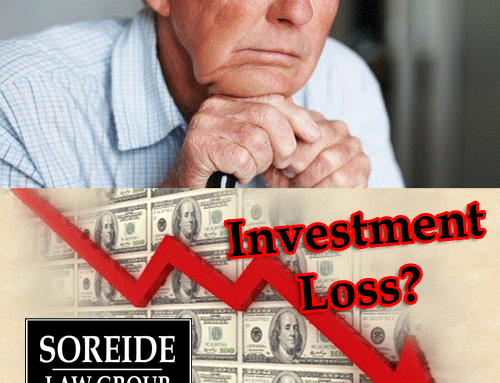 If you have invested in AFIN, contact Soreide Law Group at (888) 760-6552 for a free consultation. Our firm has recovered millions of dollars for investors who have suffered losses due to broker and brokerage firm misconduct. We represent clients on a contingency fee basis and advance all costs.